Welcome to the Sisters Country! Sisters, Oregon (aka "Sisters Country") is a wonderland of lakes, mountains and rivers, a paradise for hikers, flyfishermen, paddlers, mountain bikers, birders, skiers and horseback riders. From the sagebrush of the high desert to the magnificent forests on the flanks of the Cascades, you'll find a lifetime's worth of exploration and adventure. 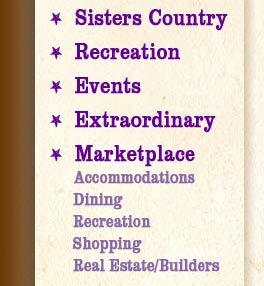 But that's not all Sisters Country offers. You can slough off the cares of the workaday world, relaxing in world-class lodgings, unwinding at delightful spas, and discovering the arts and crafts of Sisters in mom-and-pop shops. Get a hearty, old-fashioned breakfast or dine in casual elegance. 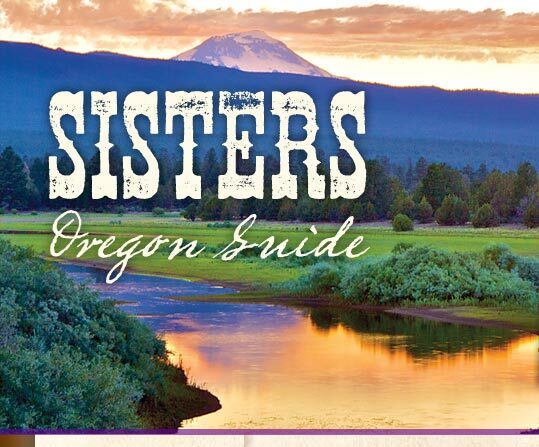 And Sisters is a center of arts and culture, offering events and activities of international renown, from the venerable Sisters Rodeo to the acclaimed Sisters Outdoor Quilt Show or the Sisters Folk Festival.